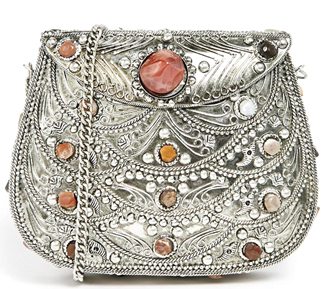 I have a similar looking exotic-meets-elegant metal clutch that I bought many moons ago, and I'm telling you, it still hasn't gotten old. I wear it all the time. This one is even more gorgeous than mine! Can't find this clutch on the ASOS site - any other link you could provide? It must have sold out! Bummer! In a thrilling change of events, I continued to stalk out ASOS & it was back in stock today. Waiting on my delivery.